Justice and Valor won’t be converted in Patch 5.4, but with the PvP Season turnover, you can expect your Conquest to be converted to Honor as usual. Please be aware that the conversion cost of Justice to Honor is going up, and it will cost 500 Justice to purchase 250 Honor. Where’s the New Valor Gear? There won’t be a new Valor Quartermaster come 5.4. Instead, we invite those of you intent on gearing up quickly to face Patch 5.4’s challenges to visit the new Timeless Isle. 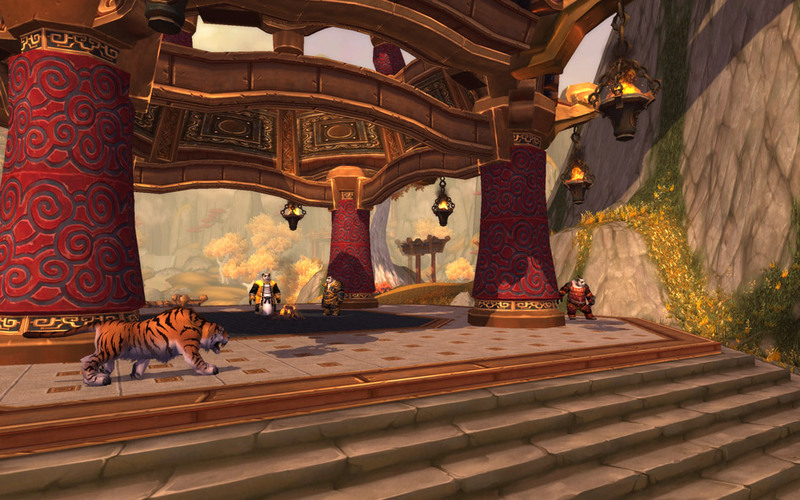 You can get a taste of what’s to come by reading Bashiok’s Timeless Isle preview. The Ethereals who offer Item Upgrades are sticking around, so you’ll still be able to spend your Valor on upgrading your existing gear. PVP Season 14 arrives with Patch 5.4, which means a few different things. First, Season 14 Grievous gear will become available. Elite versions of Season 14 Grievous will also be available as a mark of prestige for players that reach a personal rating of 2,000 and earn 27,000 Conquest Points over the course of the season, and the non-Elite pieces will no longer be a pre-requisite to purchase them. The prior season’s Season 13 Tyrannical gear will be available for purchase with Honor Points, while Season 12 Malevolent gear can now be crafted. Finally, equipping any pair of PvP trinkets from Season 12 or later will grant a 10% reduction in damage taken from other players. For the details regarding how Arenas work in 5.4, check out Daxxarri’s blog on the subject: Patch 5.4 Arena Update. You might already be aware that Garrosh’s callous actions will bring great destruction to the Vale of Eternal Blossoms. This also means that the majestic pagoda that once housed the Golden Lotus will be no more. While this is truly a tragedy, the Golden Lotus fight on. You can still complete some quests for them, as well as earn reputation with the Golden Lotus by slaying their enemies in the Vale. Get the details from Nethaera’s write up: Patch 5.4: Destruction of the Vale of Eternal Blossoms. The conflict that has been occurring in the Barrens is culminating in the Siege of Orgrimmar raid, but that also means that the various quests offered there, as well as the Darkspear Rebellion Quartermaster, will no longer be available once the patch hits. If you want any of the items that the Quartermaster provides, such as Xan’tish’s Flute or Latent Kor’Kron armors, then your time grows short! While the quests and the Quartermaster will be gone, the Kor’kron and their camps will remain in the Barrens (though it will no longer be possible to get the various Battlefield: Barrens supplies from them), and those foes will now drop Gahz’rooki’s Summoning Stone, Raptorhide Boxing Gloves, and the Kor’Kron Supply Satchel. Attention title hounds! The Battlefield: Barrens exclusive titles, Hordebreaker (Alliance) and Darkspear Revolutionary (Horde) disappear with this patch! If you want either one, you’d better get out there and finish the quest line before it’s gone. Attention Transmogrification enthusiasts! Griftah’s Authentic Troll Shoes are disappearing with Patch 5.4! 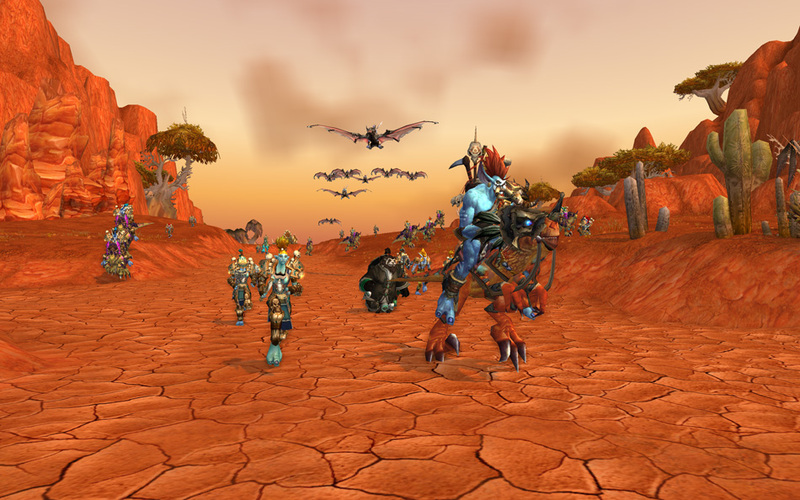 They may return again at some point in the future, but if you want to be sure to have them, this would be a great time to visit the Barrens and help out the Darkspear Rebellion. Wowhead has posted a useful guide that can help you make sure to get the most from Battlefield: Barrens before it’s gone. The Mantid Artifact Sonic Locator is seeing some changes (you can read the PTR patch notes for details), but the big news for now is that it will be more difficult to obtain in the future, so you maybe want to grab yours now. New-for-5.4 crafting materials will be usable to craft new Raid and PvP gear. You’ll be able to learn how to create the new crafting materials via recipes that drops from creatures in Pandaria. Be sure to check out the Professions section of the patch notes to see if it might be a good idea to hold onto some of the mats that you’ve already got stashed. With the destruction in the Vale of Eternal Blossoms, Jewel Danios have been airlifted to their new habitat on the Timeless Isle . . . where you can fish them up! It’s easy to make sure that you’re ready to play when the realms become available on patch day. If you haven’t played in a while, then one of the simplest things you can do is open the World of Warcraft launcher, and allow the updater to download the latest available game files. If you use approved User Interface AddOns, make sure you have the latest versions and that they’re updated and ready to go for the new patch. This is also a good time to update your video card’s drivers, to ensure that there aren’t any compatibility issues. If you experience any patching issues, there’s a technical support forum thread all about patching that could help. You can also follow @BlizzardCS on Twitter for the latest support-related news. The Blizzard Support site provides options like searching through available solutions, or, if the self-help options don’t do the trick, submitting a support ticket might help you get back into the game fast. In the early days of a patch, players are especially helpful in ensuring the any issues are detected and addressed as soon as possible. You can let us know about previously unreported issues (and find out if a bug you’ve run into has already been reported) on the Bug Report forum. Good luck, and we’ll see you in Azeroth!